If you’ve got a particularly expensive vehicle is a very good investment. Although a tracking system won’t prevent your car being stolen, it will ensure you have an excellent chance of recovering it and hopefully catch the culprits too. Some cars are so much more than just a piece of property so despite their expense, a vehicle tracker can make an excellent purchase. Do you know what a VIN is? It’s your Vehicle Identification Number and is unique to your particular car. If you can’t afford a tracking system (or just want another layer of car security) then get your windows, lights and mirrors etched with the last seven digits of your VIN. If your car does get stolen, it can make life difficult for thieves when processing your car as it’s time consuming to replace these parts. Like a tracking system, it can also help reunite you with your car if found. You may think that your car is safe when parked on your driveway or on the road in front of your house. You may think that it’s fine to leave your sat nav, laptop or other valuable items on display, but you’re not. You wouldn’t leave them on display in a public carpark, so why do it near your home? The fact is, you never know who is passing and valuables can make your a target. Once they’re in your car to steal your valuables, they may only need a minute or so to take away your whole car. Did you know that according to recent statistics, because car security has gotten so much better over recent years, over 70% of car thefts these days involve the use of the vehicle’s key. That means it’s essential you keep a careful eye on your key. Ensure you keep them out of sight at all times and when at home, don’t keep them near your front door as thieves have been known to hook them through people’s letterboxes to gain easy access to people’s cars. Many people think that once their car is in their garage that it’s safe. 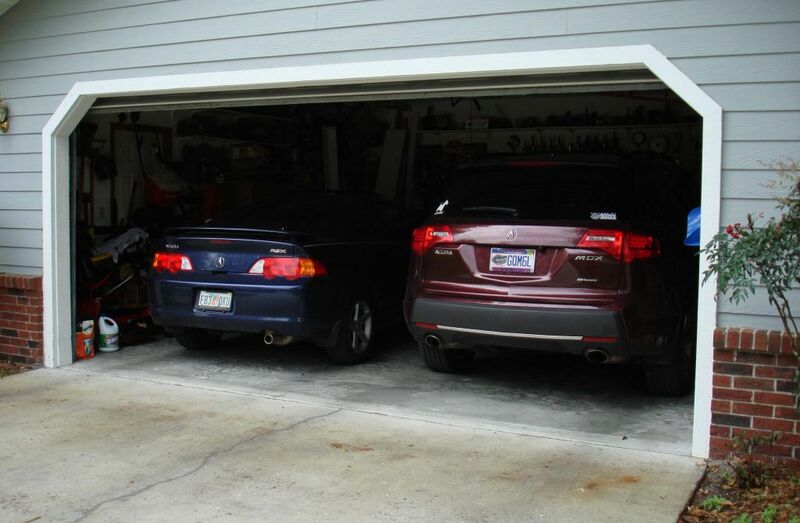 It’s certainly a lot safer than parking outside of your garage but there are still things you can do to further ensure the safety of your car. Firstly, if you have a home security alarm, ensure your garage is fully covered by it, because if it’s not you’re not only putting your car at risk, once a burglar is in your garage, it may give them easy access to your house too if you have an internal door. The other thing to consider is your garage door. If it’s getting on a bit in years, it may be worth thinking about investing in a new one. Garage door security technology has improved rapidly over the last few years, which means for a relatively small outlay, you can seriously improve the security of your garage. At Garage Doors Durham, we have a large range of doors suitable for any home all of which have high security specs.